The Company is entering the final stages of an extremely complex workforce supply contract which is on an unprecedented scale. We have recently encountered significant difficulties in processing applicants in sufficient numbers through the necessary training, vetting and accreditation procedures. As a result, we will be unable to deliver all of the necessary workforce numbers. We have worked very closely with LOCOG throughout the build up. At the point we felt that we could no longer assure the scale of the security workforce we had committed to, we advised them of the situation. The Government has therefore decided to increase the number of military personnel who will work at the Games. We are grateful for the additional military support. We do not underestimate the impact on the military personnel and their families and express our appreciation to them. G4S accepts its responsibility for the additional cost of the increased military deployment resulting from the shortfall in workforce delivery. The company is also incurring other significant costs as it endeavours to meet the contract challenges. Whilst it is not possible to gauge the precise financial impact, it is estimated that the Company will incur a loss on the contract in the range of £35m – £50m, all of which will fall in the current financial year. 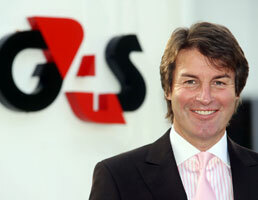 G4S is fully aware of the importance and significance of its role in ensuring that the 2012 Games are secure and successful. The Company deeply regrets that, despite the relentless efforts of so many of its people, it is unlikely to deliver in full its obligations to LOCOG, to the Government and to everyone with an interest in these Games. Our immediate priority is to work with LOCOG and the military to ensure the necessary workforce delivery. When the Games are finished, the Board will conduct a full review of our performance on delivering this contract. “Since I joined the Company I have seen the huge focus which has been placed on delivering this contract. It is a significant disappointment to everyone at the Company that we have fallen short of our obligations.